The story of Dina, one of the six torch lighters of the official opening ceremony of this year's Holocaust Martyrs' and Heroes' Remembrance Day. Dina Buchler-Chenis is one of the six torch lighters who participated in the official openeing ceremony of this year's Holocaust Martyrs' and Heroes' Remembrance Day. Yad Vashem, The Holocaust Martyrs' and Heroes' Remembrance Authority presents her story. Dina was born in April 1940 in Zagreb, Yugoslavia (today Croatia), to Dragotin and Blanka Büchler. In April 1941, Dragotin was sent to the Jasenovac concentration camp, where he was murdered along with Dina’s grandfather and aunts. Dina, her mother and grandmother were sent to various camps, ending up at the Loborgrad camp adjacent to Zagreb. By the end of 1941 Dina was very sick and malnourished, and one of the camp guards helped smuggle her out of the camp. Her mother attached a note to the baby’s neck with her name, date of birth, and the names of two relatives to whom she should be given. The note is now preserved at Yad Vashem. The guard left the “package” at the Jewish Community Center in Zagreb. Through the note, the people who found her knew to pass her on to Blanka Ziczer-First, Dina’s mother’s cousin. Blanka watched Dina for a number of months, but fearing for her own life, gave her to a local farmwoman andfled to join the partisans. Soon Blanka got word that the farmwoman was not taking proper care of Dina, and Blanka rescued the baby and gave her to her friends, Djina-Gertruda Beritic and her son Tihomil. The Beritic family loved Dina as if she were family, and took care of all of her needs. They baptized her and called her “little Maia” (Maria). The caretaker of the building in which the Beritic family lived threatened to denounce them for hiding Dina, but after the partisans threatened his life, he changed his mind. Dina stayed with the Beritics until the end of the war. In 1946, Blanka returned to retrieve Dina, her only surviving relative. She received legal guardianship for the little girl, cared for her lovingly, and gently brought her back to Judaism. In December 1948, Blanka and Dina emigrated to Israel. Dina was put under the care of Youth Aliya, and went to live with a group of children at Kibbutz Sarid. At the age of 16, she returned to live with Blanka in Haifa, and stayed with her until Blanka passed away. 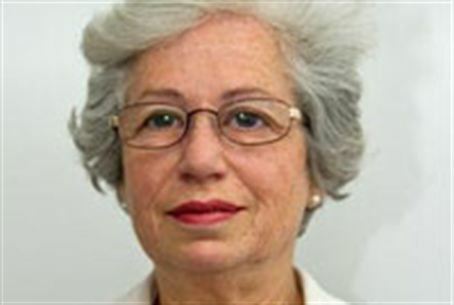 Dina completed a Master’s Degree in microbiology and biochemistry at Bar Ilan University, moved to Jerusalem, and worked at Hadassah Hospital. For years she has been volunteering for Hadassah Women of Israel. Dina maintained warm relations with her rescuers, and went back to Yugoslavia several times to visit them. In 1994, Djina-Gertruda Beritic and her son Tihomil were recognized as Righteous Among the Nations. Dina and her husband Doron z”l have two children and seven grandchildren.